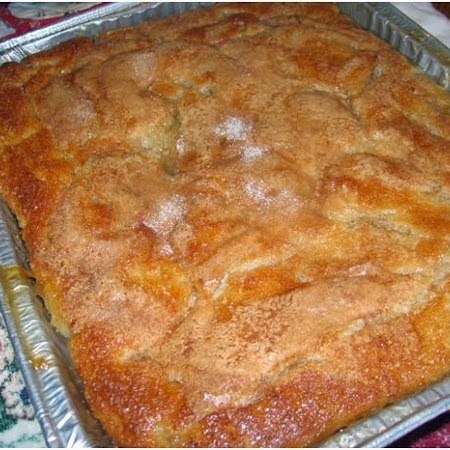 I was searching for a peach cobbler recipe that reminded me of the yummy dessert I ate as a young boy in Southeast Missouri. No shortcuts here. Fresh peaches and homemade crust...but worth every minute! Absolutely delicious served warm with vanilla ice cream! Never any leftovers with this dessert! In a medium bowl, sift together the flour, 3 tablespoons sugar, and salt. Work in the shortening with a pastry blender until the mixture resembles coarse crumbs. In a small bowl, whisk together the egg and cold water. Sprinkle over flour mixture, and work with hands to form dough into a ball. Chill 30 minutes. Preheat oven to 350 degrees F (175 degrees C). Roll out half of dough to 1/8 inch thickness. Place in a 9x13 inch baking dish, covering bottom and halfway up sides. Bake for 20 minutes, or until golden brown. In a large saucepan, mix the peaches, lemon juice, and orange juice. Add 1/2 cup butter, and cook over medium-low heat until butter is melted. In a mixing bowl, stir together 2 cups sugar, nutmeg, cinnamon, and cornstarch; mix into peach mixture. Remove from heat, and pour into baked crust. Roll remaining dough to a thickness of 1/4 inch. Cut into half-inch-wide strips. Weave strips into a lattice over peaches. Sprinkle with 1 tablespoon sugar, and drizzle with 1 tablespoon melted butter.